Primed the vertical and horizontal stabilizer frame parts today. Will need to let them dry a few days before riveting. The primer seems to be drying well. 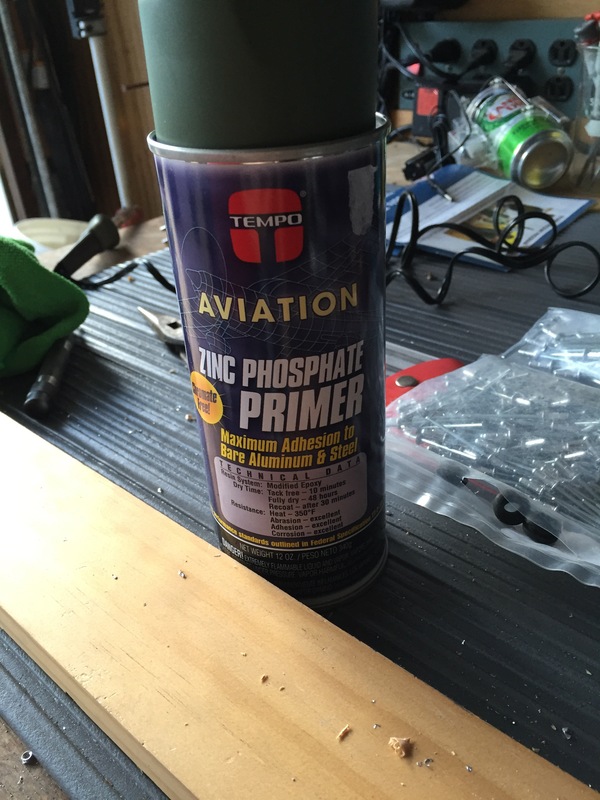 I think I put it on a bit thick in some areas because I was thinking it should be a dark green opaque coating, but after reading Aircraft Spruce Q&A it seems you just need one coat which is transparent. This entry was posted in Empennage and tagged horizontal stabilizer, vertical stabilizer by jpavlick. Bookmark the permalink.